Rover’s Choice was started in January 2014 to create a product from the waste stream of our local grass-fed beef industry. Our bones come from USDA inspected beef, raised locally on California’s northcoast. 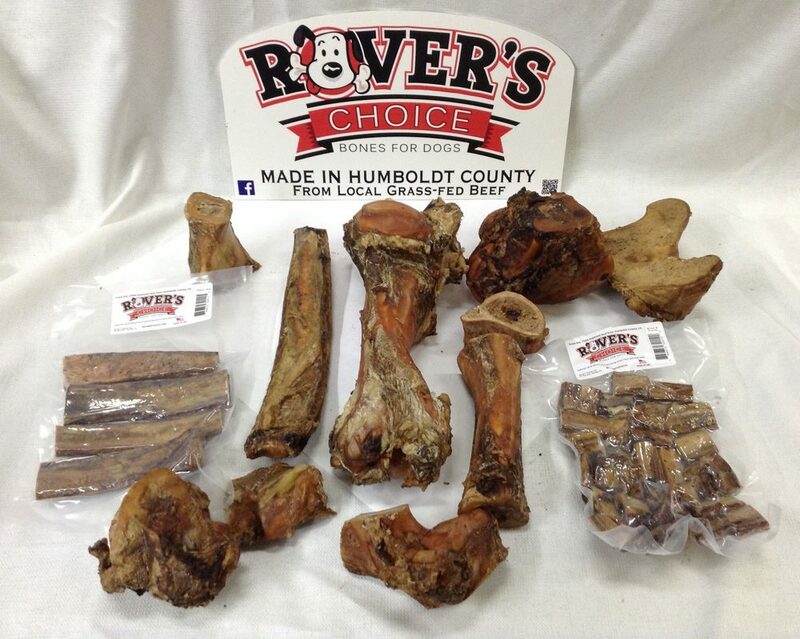 Humboldt County’s mild climate and seasonal rainfall means that grass-fed beef can be raised naturally year round, giving Rover’s Choice a steady supply of bones. Each batch is processed by hand. Bones are cut to length and refrigerated in a brine solution for approximately 5 days. They are smoked at 180 degrees for 24 hours in our purpose-built smokers using a blend of sustainably-harvested cherry, apple, plum, and other species. Bones are then transferred to a drying room for further moisture removal. Everything added to the process is food-grade. We use no preservatives.